Super League of Malawi (Sulom) outgoing executive committee has failed to implement 75 percent of the promises made in its election manifesto four years ago, Nation on Sunday understands. The poor success rate which stands at 25 percent has sparked sentiments of dissatisfaction among the clubs which feel the league running body would have left a great legacy had they fulfilled measures to improve revenue generation. The mandate for president Innocent Bottoman-led leadership expires in March when club representatives will appoint a new team. The key areas the Sulom leadership failed to implement are: revenue generation through television broadcasting rights sales, lobbying government to reduce ground levy and render financial support to clubs competing in CAF competitions. Others were promotion of sports medicine, setting up of Super League lottery, securing offices for Sulom, formulating a strategic plan and forming partnership with foreign leagues to share ideas. The manifesto titled “Transforming Super League football from a pastime to a business venture” which Sulom’s Bottoman presented to affiliates was then widely hailed as key to club football development. Television rights sale was among the key areas that raised high expectations. “In modern football, real money comes from live TV coverage, not gate fees. To boost the coffers of Sulom and clubs, I will expedite engagement of local television outlets to start beaming Super League games live,” the manifesto reads in part. But Sulom, over the years failed to succeed as the bid winner Beta TV discontinued the broadcasting of games and did not pay a tambala for the K266 million agreed rights fee. 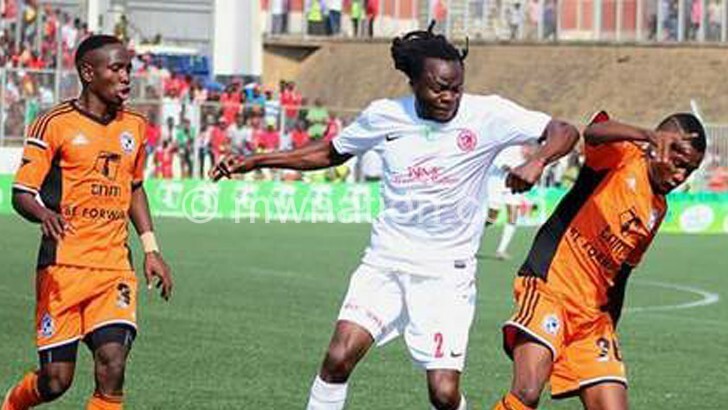 Assessing the executive committee’s performance, Be Forward Wanderers vice-general secretary Chulu Mkangama said Sulom let down clubs regarding the way it handled the rights issue. Mkangama, however, gave credit to Sulom for harmonising the league: “They managed to bring sanity to player transfers and also improved handling of gate revenue,” he said. Silver Strikers general secretary Lawrence Yobe said they are disappointed with Sulom for failingto fulfilmost of the promises. “For us, Sulom performed badly. If you only manage to meet 30 percent of your set targets, that is failure. The TV rights deal failed, the lobbying for ground levy reduction and other revenue generation initiatives failed. This means the key focus of the manifesto to create wealth for clubs, didn’t materialise,” he said. “Of course there were a few positives like an increase in gate revenues. However, the league sponsorship is still low and Sulom should have fought for the sponsor to increase it or bring in other partners,” he said. Meanwhile0, Kamuzu Barracks (KB) has noted that some Sulom executive committee members were dormant which disrupted the operations of the body. “Sulom executive wasn’t a full house. The vice-president seat has been vacant and regional executive members did not work to clubs expectation. It was difficult for clubs to trace an executive member to clear a player,” KB general secretary Steve Davie Kakuza said. While Bottoman will not seek re-election, some of the outgoing executive committee members want to contest. They include general secretary Williams Banda and treasurer Tiya Somba-Banda who is seeking the presidency. Ironically all the top brass; president, GS and treasurer declined to comment on their failure to implement the manifesto that ushered them into office. 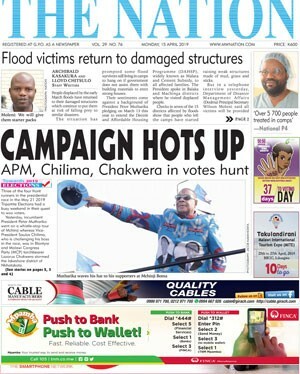 But Sulom executive member Charles Manyungwa, who is also vying for another term of office, has admitted that they failed to implement most of the crucial promises. He attributed it to lack of time and complications in initiating the set programmes. “Issues to do with reduction of ground levy depended on other stakeholders like government and stadium owners. It was difficult therefore for us to fulfil such promises,” he said. Manyungwa has expressed optimism that if the majority of the committee members are retained, it could help to push for the implementation of the unfulfilled targets. “Most of those promises are still work in progress and I am optimistic they will, as time goes, be fulfilled,” he pointed out. Football analyst Julius Mithi said Sulom’s failure has failed to implement most of its promises should in no way make affiliates condemn the entire committee. “There are some members who did a tremendous job. They are still capable of turning things around,” he said while cautioning the clubs to elect a president who has a passion for football.